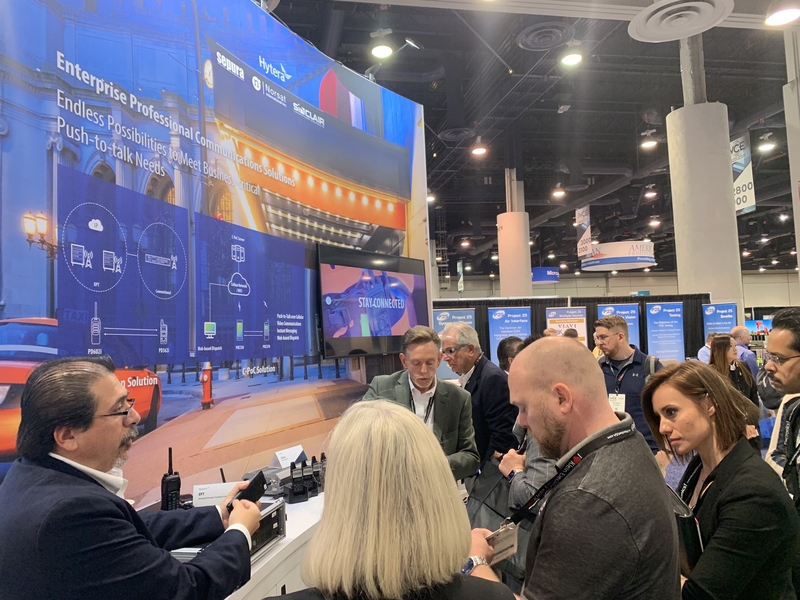 (MIRAMAR, Fla. and IRVINE, Calif., March 19, 2019) - Hytera, a leading global provider of innovative Land Mobile Radio communications solutions, is pleased to announce the conclusion of another successful International Wireless Communications Expo (IWCE) in Las Vegas, Nevada, where Hytera dealers and attendees were able to see the company's latest round of innovations for the marketplace. 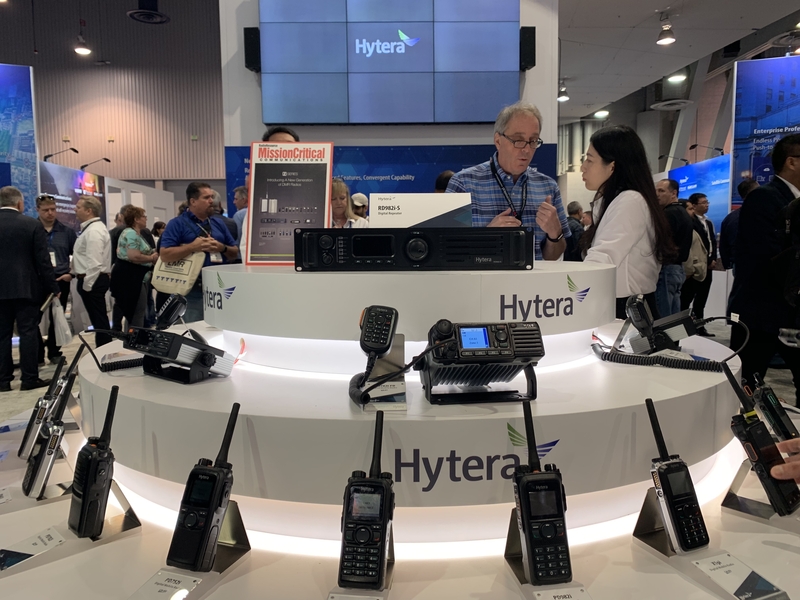 Hytera showcased its new products at the premier event for critical communications technology, which boasted an attendance of more than 7,000, according to IWCE. Industry professionals from transportation, enterprise, and professional services, as well as the dealer community, gathered to spend the multi-day conference learning about Hytera's newest product offerings, including its next generation DMR series, DMR-LTE convergent solutions, SmartOne and i-Series. Ninety-eight percent of attendees found IWCE to be valuable for gathering new product and industry information. With nearly a decade of excellence in the DMR market, Hytera debuted its next generation DMR radios, which are the first of their kind in the industry and provide advanced communication technologies for today's professional users. The next generation expands functionality, delivers seamless user experience and performs in everyday and harsh environments, while maintaining all the versatile features users expect. Hytera continued the trend of introducing cutting-edge DMR technology at the conference through its P-PoC 6000 solution for unified communication through voice and data services. As one of the industry's first DMR-LTE convergent solutions, P-PoC 6000 allows for unified network management and dispatch platforms, eliminating the need for rip and replacement and providing an easy upgrade pathway for customers that allows them to maximize previous investments. "I'm particularly excited to bring these new convergent solutions to customers who seek secure and reliable communications," said Tom Wineland, VP Sales, Hytera Communications America (West), Inc. "The abundant voice, video and data services can all be used on multiple networks to seamlessly communicate with their existing radio systems." 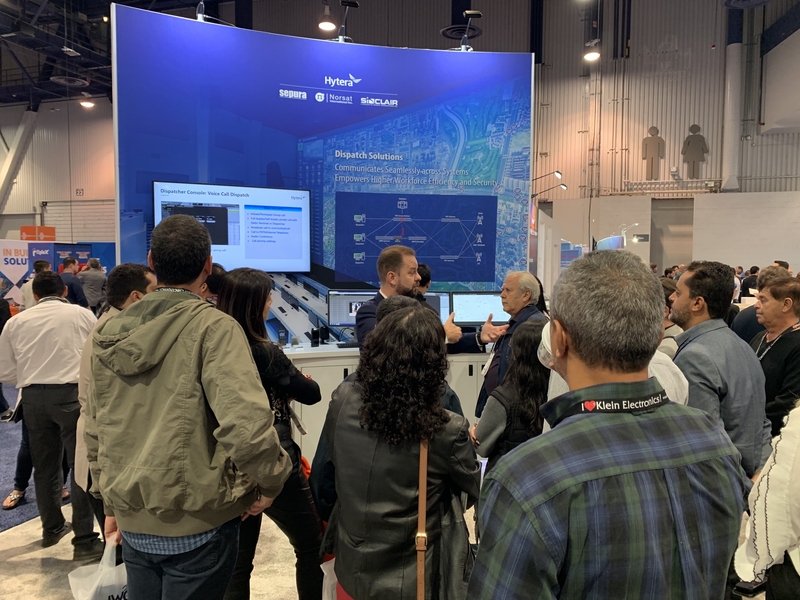 Those at IWCE looking to efficiently manage their fleet were impressed by Hytera's scalable and adaptable SmartOne solution. Capable of being completely tailored to an end-user's business needs, SmartOne is a powerful dispatching platform, offering voice calls, GPS positioning services and messaging functions, as well as a variety of professional functions including voice recording, AVL and camera monitoring. As part of the conference proceedings, Hytera also debuted its i-Series, which includes premium features like full duplex calling, over the air programming (OTAP) and optimized push to talk (PTT). The series also incorporates features that enhance coverage and channel efficiency without adding hardware costs, like enhanced Quick GPS and Hytera's innovative Fusion System, which enables combined trunked/non-trunked operation. "IWCE was a success and we enjoyed the opportunity to speak with end users and dealers to discuss the future of land mobile radios," said Steve Cragg, VP Sales, Hytera America, Inc. "The new offerings from Hytera will benefit those in search of more diverse products at affordable price points and we are proud to deliver these necessary choices in the marketplace."